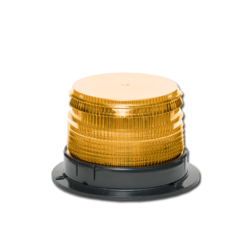 Class 1 High Profile Intelligent Series LED Beacon. Classic styling, anodized aluminum base. Polycarbonate lens and dome. Permanent mount only. 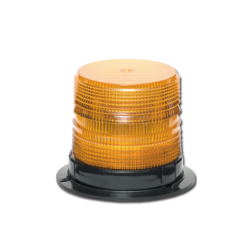 Class 1 Medium profile Intelligent Series LED Beacon. Polycarbonate construction, flange mount standard. 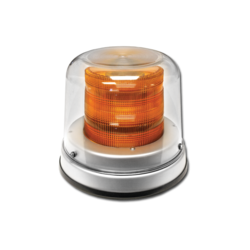 Class 1 Low Profile Intelligent Series LED Beacon. Polycarbonate construction, flange mount standard. 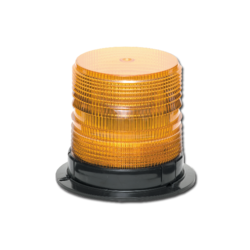 Class 1 High Profile Intelligent Series LED Beacon. Taller profile lens for greater visibility. Polycarbonate construction, flange mount standard. 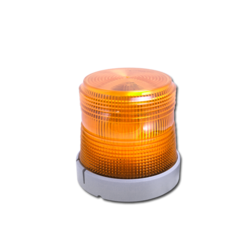 High profile, amber/blue split LED beacon with aluminum base. 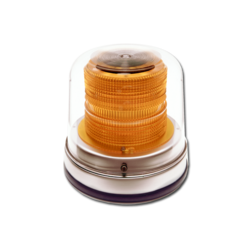 Medium profile, amber/blue split LED beacon with BiOptic Fresnal lens. Medium profile LED beacon with quad amber flash (top) or quad blue flash (bottom) or quad flash both amber and blue simultaneously. Quad amber flash (top) or quad blue flash (bottom) medium profile LED beacon. 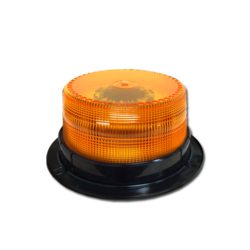 Amber/blue low profile LED beacon. Flashes either all amber or all blue with a quad flash pattern. High profile BiOptic LED Beacon. 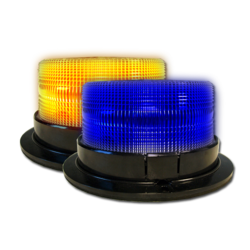 BiOptic lens, 8-sided, dual level LEDs, anodized aluminum base, permanent mount only. Medium profile LED Beacon. BiOptic lens design, 8-sided, dual level LEDs. Polycarbonate construction, flange mount standard. 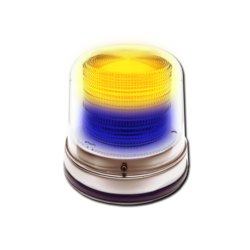 Low profile LED beacon. 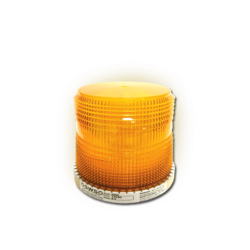 Extremely bright, polycarbonate construction, flange mount standard. 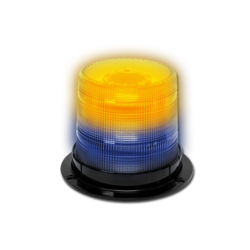 Low Profile LED Beacon. Cast base. Permanent mount standard. Extreme low current < 1 amp peak current! 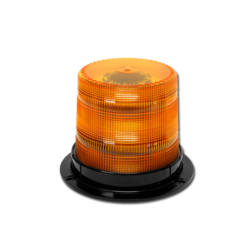 Low Profile LED Beacon. Polycarbonate base. Permanent mount standard.